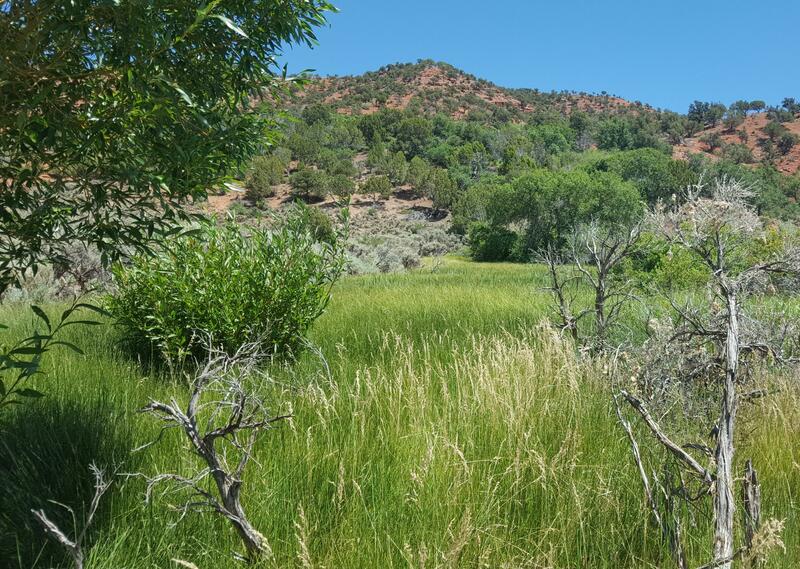 240 acres of one of the most prestigious pieces of land still left near Cedar City. East and South property lines back up to BLM. Natural springs called Fivemile Springs right on property. Front of property is level with gentle sloping up to gorgeous red rock formations that have creeks and small water falls to entice the wild life or the thought of a friendly hike or explore it on horseback. Perfect for a personal ranch or divide for some smaller ranches. The views are endless to the north, south and west of the whole valley. 12 acre feet of under ground water rights along with .011 cfs spring water rights included with property. Power poles are on north side of property. Dirt road to property is in good condition and allows easy access to property.